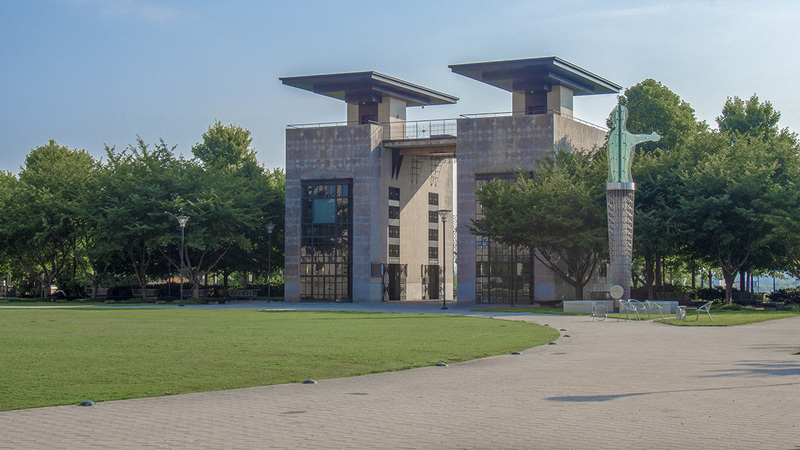 This five-acre civic space overlooks the Cumberland River on the site of Nashville’s original public square created by Thomas Molloy in 1784. Historically, the square served as the city’s communal space and was also ignominiously the site of its slave market in the early nineteenth century. 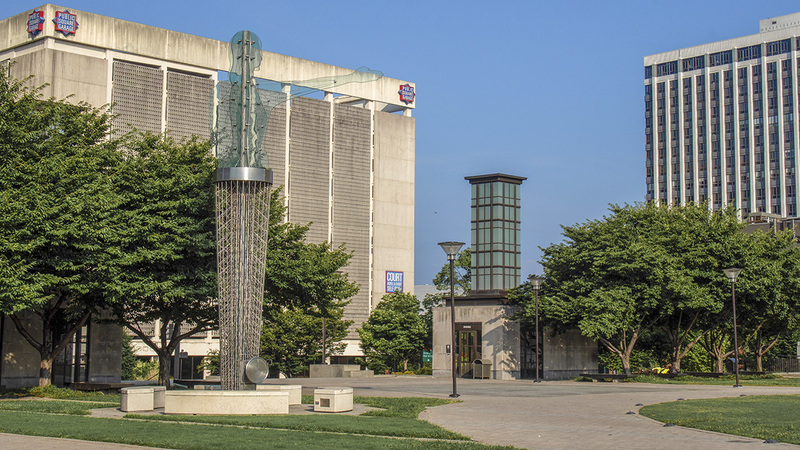 In 1976 the site was converted into a parking lot, and in 2003 the municipal government hired the firms WRT and Hawkins Partners, Inc., to design a new public square. The result was an underground parking garage capped by a contemporary plaza, completed in 2008. 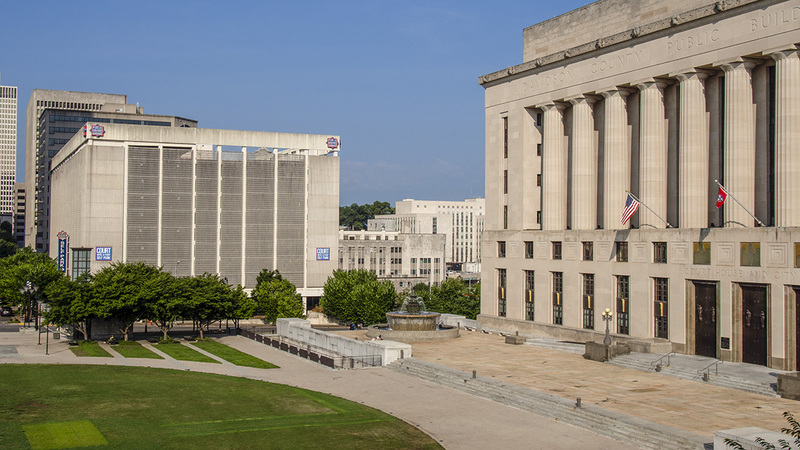 The square overlooks the Cumberland River to the east and is bounded by the James Robertson Parkway and Union Street to the north and south, respectively. It is framed on the north by a Depression-era courthouse, which lies on-axis with Second Avenue. 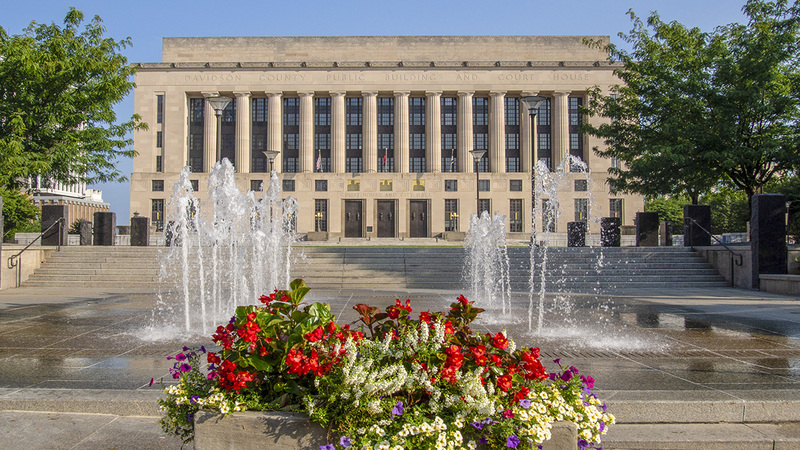 The Art Deco courthouse is fronted by an elevated terrace flanked by two large, tiered fountains. 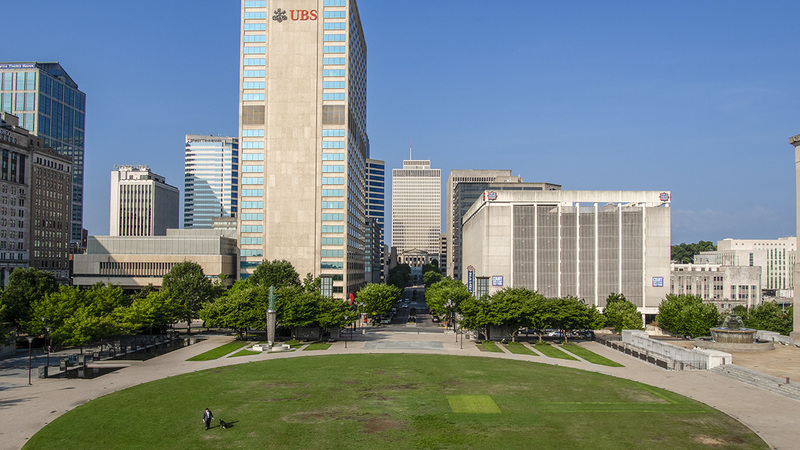 At the base of the terrace, a 2.5-acre oval lawn is inscribed within a rectangular area and framed by planting strips that occupy the corners of the rectangle. The plaza is entered from the south and west via tiered stairs that ascend from the surrounding streets. 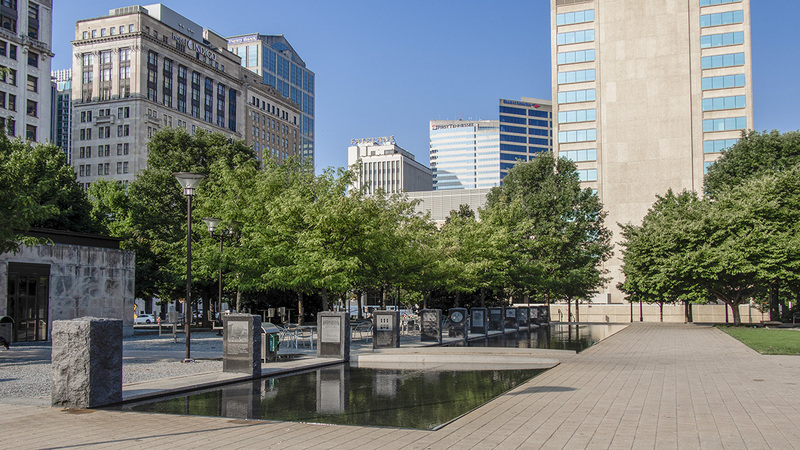 Other prominent features include an observation deck (on the east side of the plaza), a memorial honoring the region’s indigenous history, and two reflecting pools that run the length of the southern end of square. 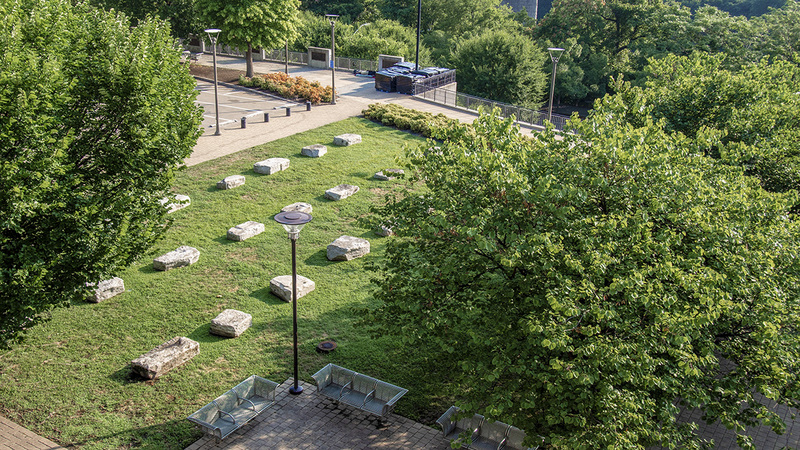 Granite pylons illustrating the site’s history frame the south side of the pools, separating them from parallel gravel patios and, farther south, a series of planting beds. Several trees, including poplars and oaks, line the edges of the landscape and frame the square’s interior.